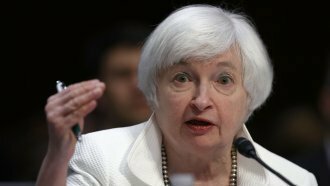 The Fed raised rates to a range of 1.25 to 1.5 percent. The Federal Reserve announced it will raise interest rates by a quarter of a percentage point, saying "economic activity has been rising at a solid rate." The target range for federal funds rate is now 1.25-1.5 percent. The announcement said unemployment was going down, spending was going up and inflation had declined. The Fed also forecasted the economy will grow by 2.5 percent next year, up from a previous forecast of 2.1 percent in September. This raise marks the third this year and the fifth since the financial crisis in 2008.